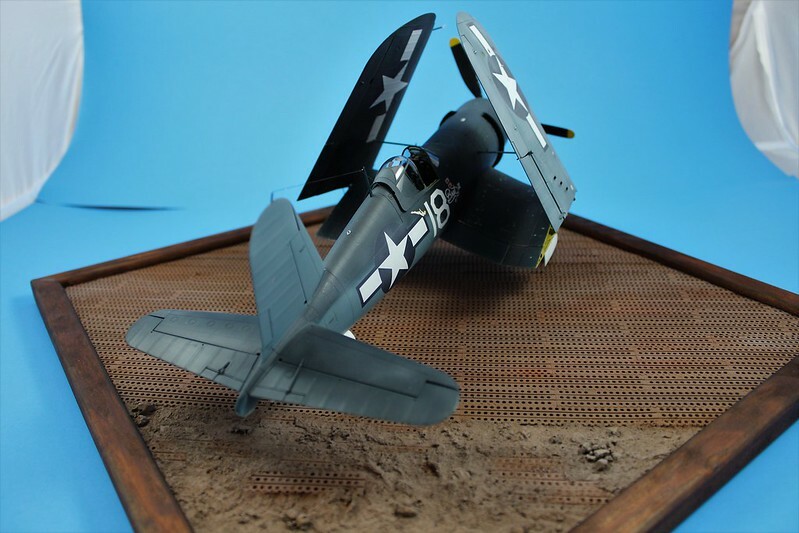 Now that the F4F-4 Wildcat is finished I have started my next build. 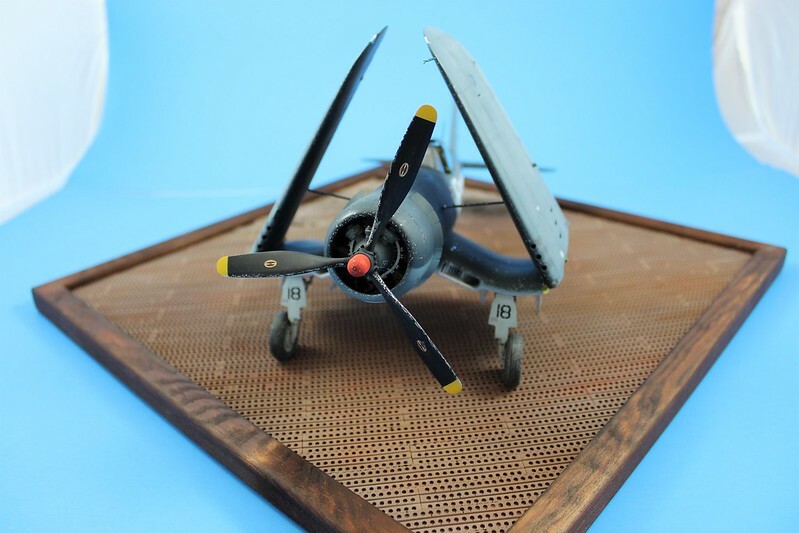 I have had Tamiya's excellent F4U-1A in the stash for a couple of years and since I am on a bit of a PTO kick lately it called to me. 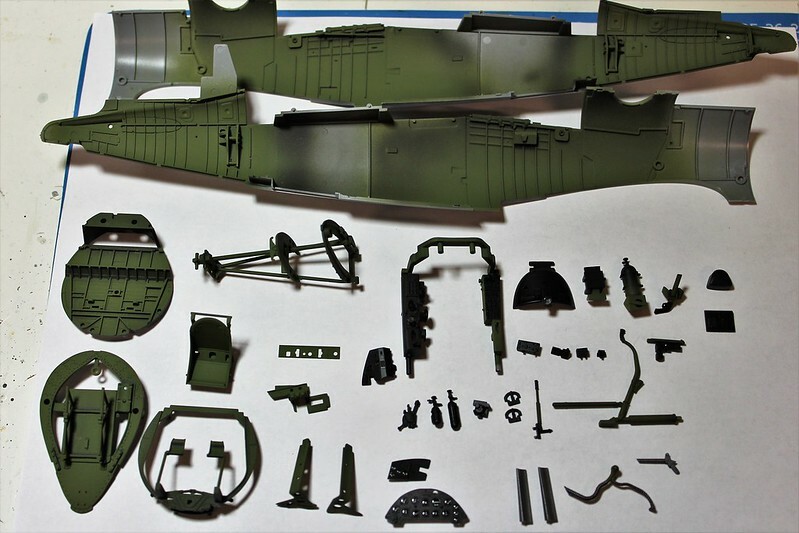 I will build this mostly OOB with the only AM stuff being resin wheels, HGW seatbelts and stencil/marking decals and Eagle Editions decals. 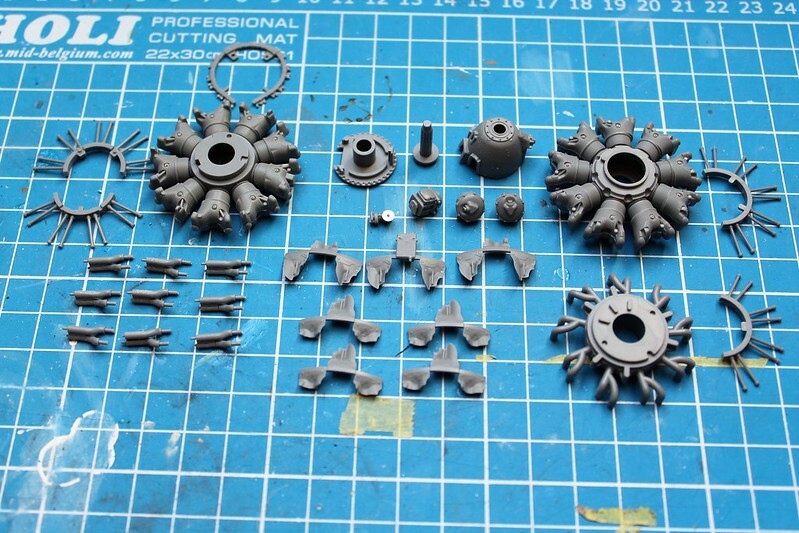 I will also only do some minor superdetailing/scratchbuilding as this is such a nice kit. 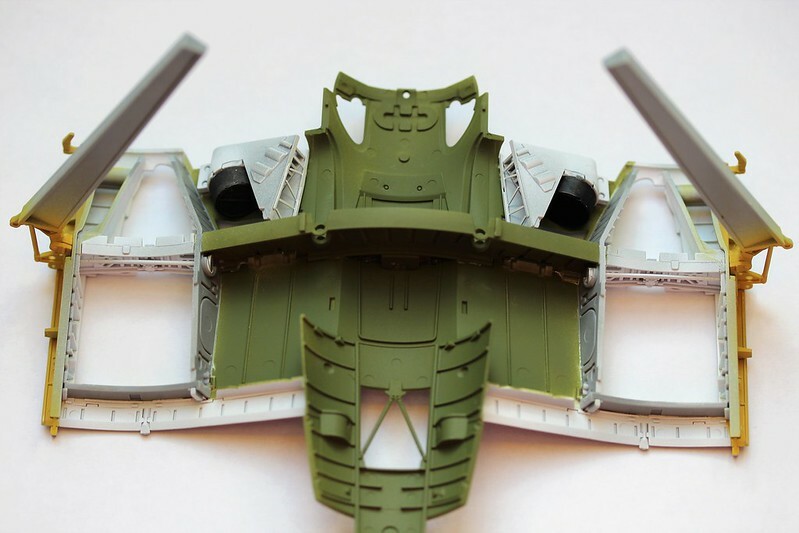 I really liked the folded wings look of the Wildcat, and would like to fold the wings on this build as well. 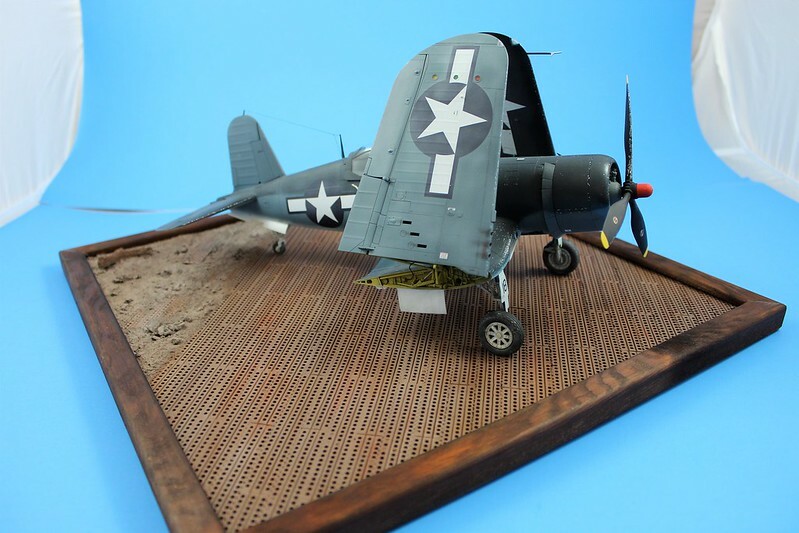 The only problem is that I also really want to show a land based Corsair on PSP Matting (And construct one of the cool palm trees I have in the stash as well). 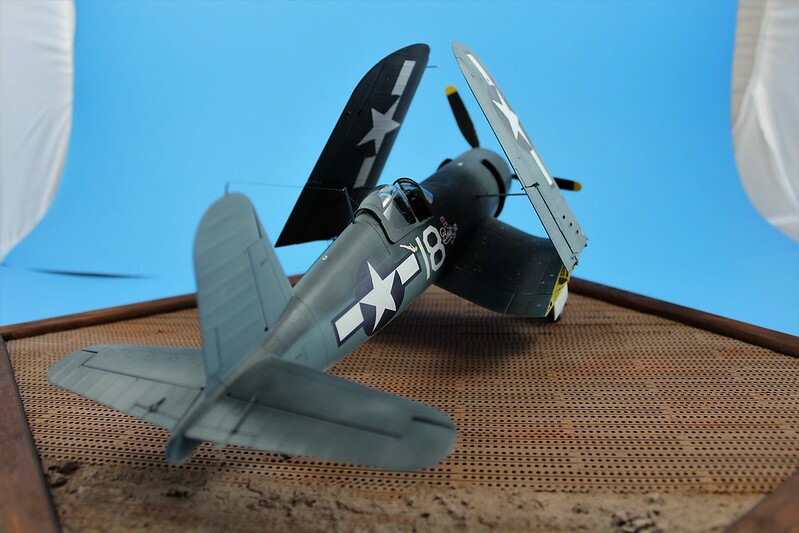 I have not found any photos showing Corsairs with their wings folded while sitting on an airfield in the Pacific - not surprising as space is not an issue at most airbases. Guess I'll cross that bridge when I come to it. 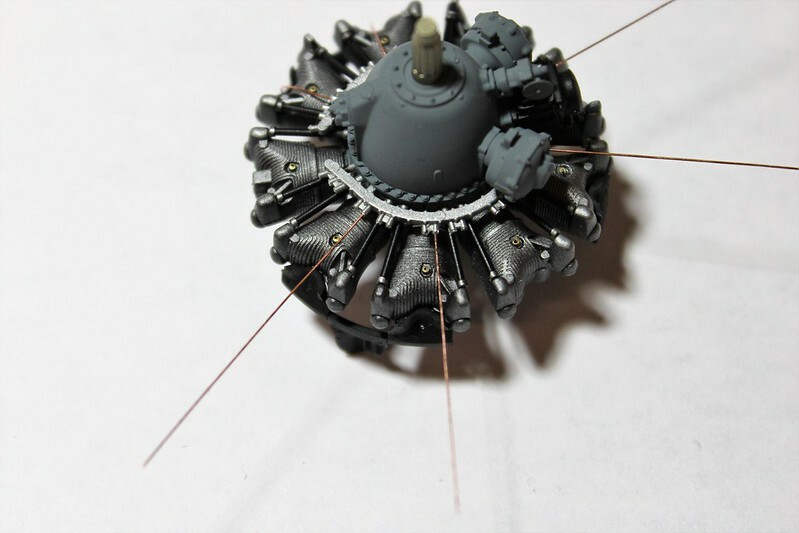 I have built the really nice kit radial engine, detailing it with some copper wire (my little daughter wanted me to keep the ignition wires copper just as she did when watching me work on the Wildcat - so copper they will remain!). I have gotten a bit better with my macro lens and some of the shots below really bring out some of the details. I still need to weather the engine, but I think it looks presentable overall. Assembled and ready for the ignition wires to be installed. And on to the wiring. 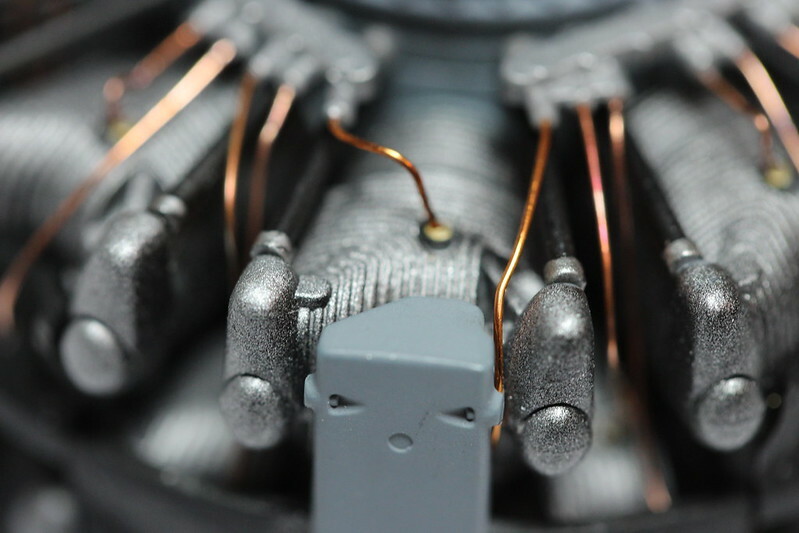 First steps - I always glue the wires to the ignition harness first, than run them to the cylinder heads. 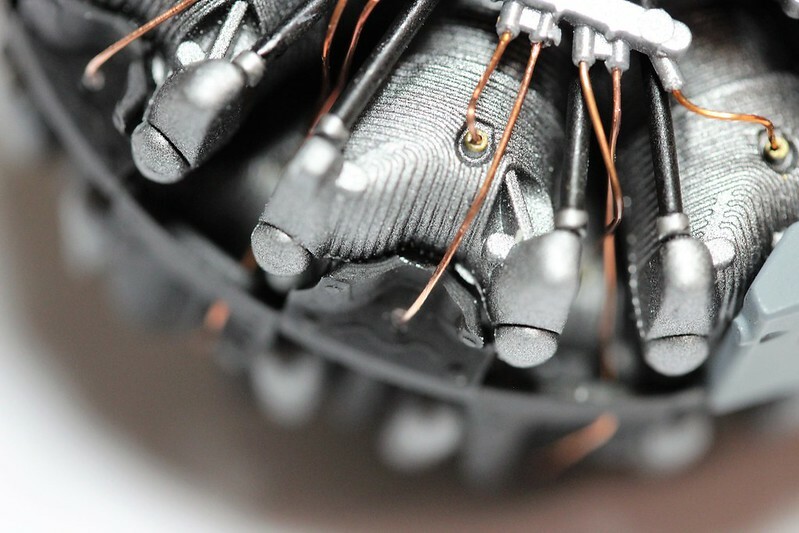 Rear of the engine with the back plugs wired. The front of the finished product. Wiring took about 2.5 hours to complete. 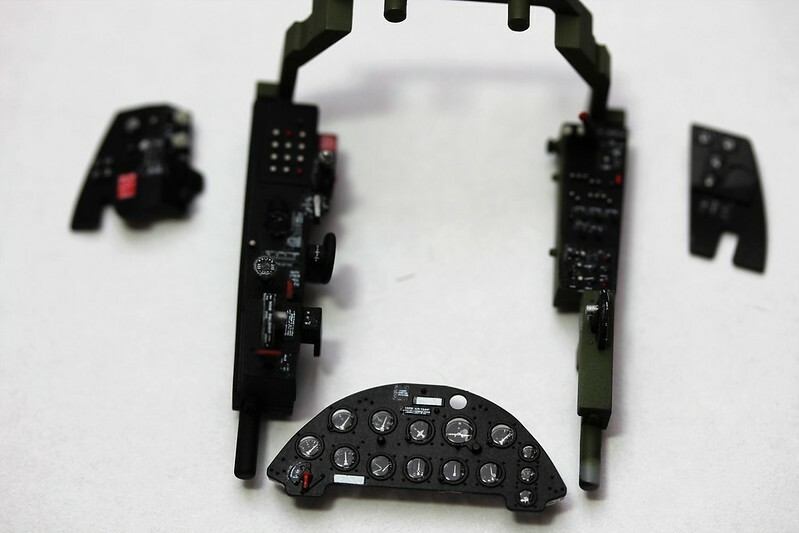 I also drilled out the black plates to pass the wire through, that was a bit fiddly but not too bad. A bit of redundancy here. 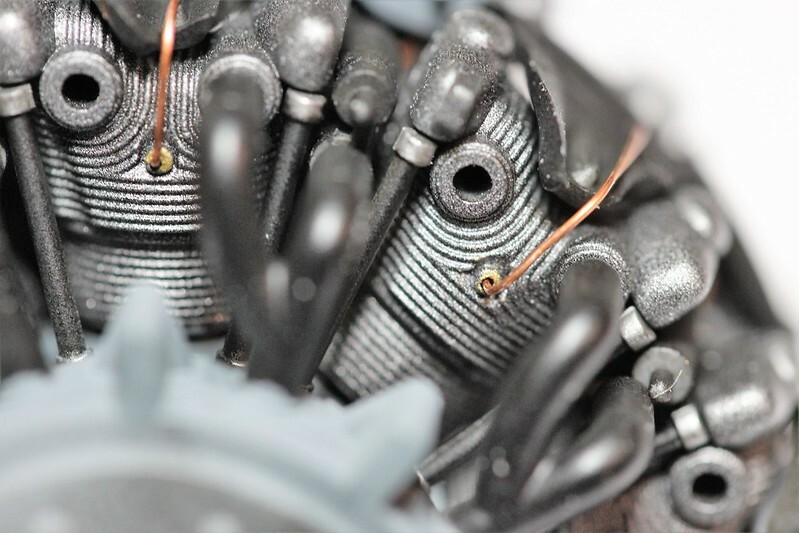 Close up of wires entering a couple of the spark plugs. Not perfect, but under normal viewing conditions it looks that part. Hi Ernest - I'll be watching this one ! This kit is enough to tempt me back into 1/32 scale ! 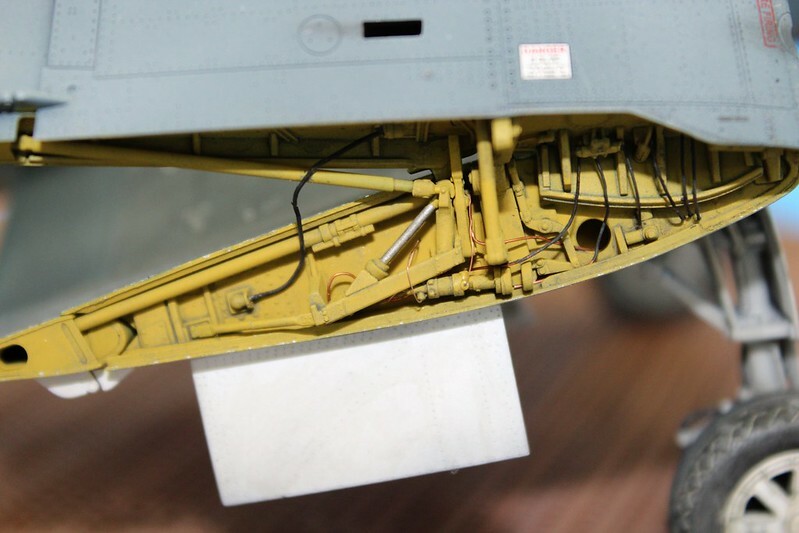 Regarding the wing fold - I'm sure that the latch mechanism needed periodic inspections and maintenance so I think you have license to show at least one side folded . Will be following along on this one . Already built the birdcage version and it is an AWESOME kit ! 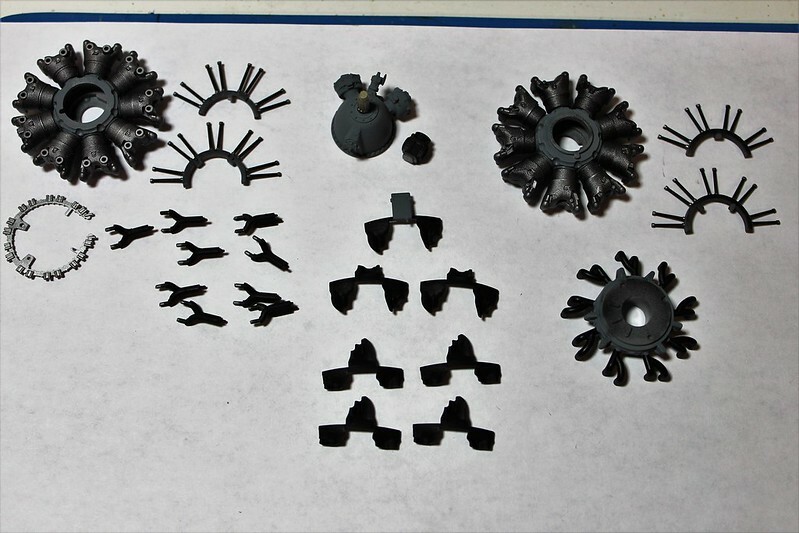 I also have this kit in the stash as well with more resin and PE plus extras as well . Hi Richard, the periodic inspection route is one I am considering to show the wings folded. 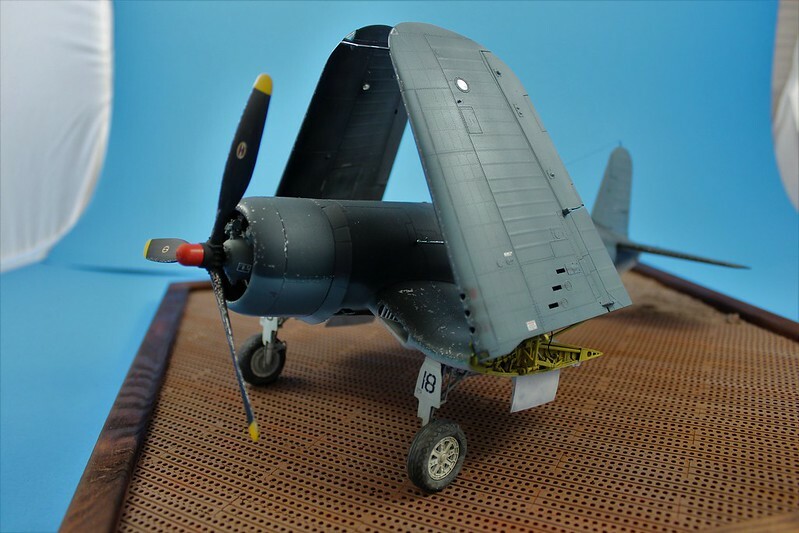 I am no Corsair expert by any stretch of the imagination, but I think the wings folded at the same time via the automatic folding mechanism - they appear to be linked somehow. Of course I could fold just one and call "artistic license"! Hi Terry, if I can make my build look as good as you did with your birdcage version, I will be very satisfied with my efforts. 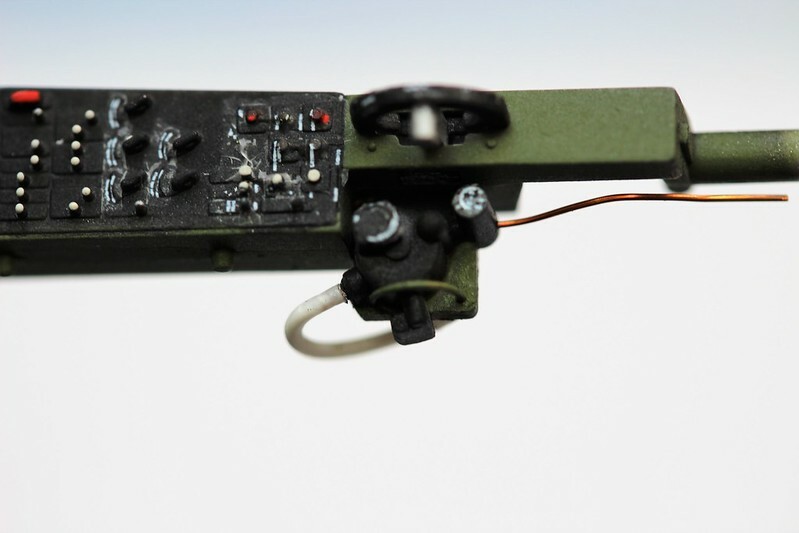 The engine was really fun to assemble, and I actually find making the ignition harness to be somewhat relaxing to make. 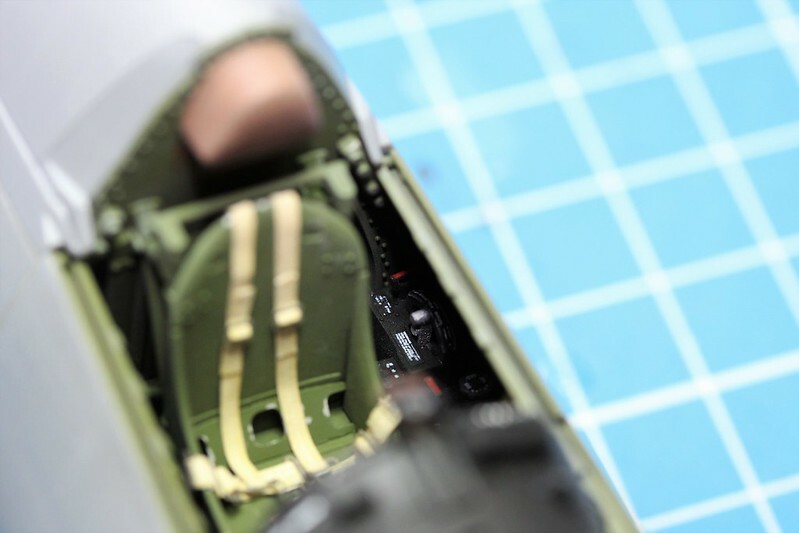 Hi all, I have completed the cockpit and will make a few posts describing what I did along with the photos. I took a lot of pictures, but a good portion of them did not make the final cut. 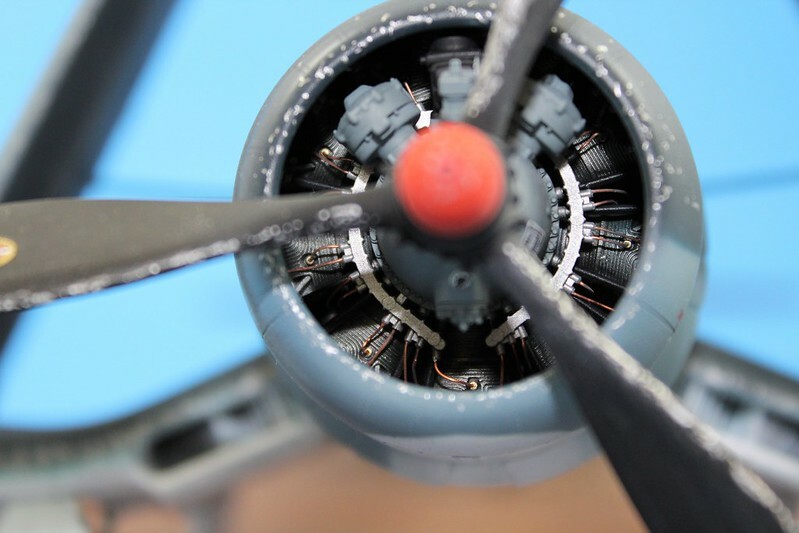 I am continuing to try out new methods with my macro lens, and some of the things I try do not turn out very well; so I lost most of the final shots of the cockpit before I buttoned up the fuselage - live and learn! 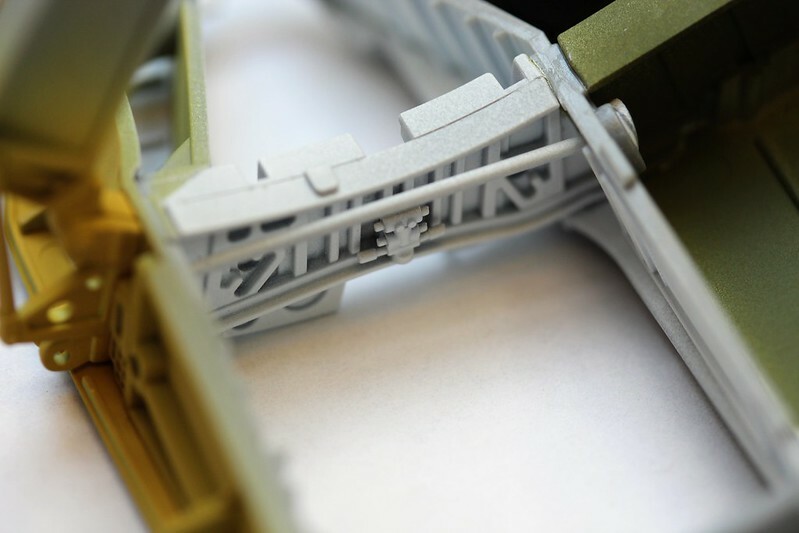 The shot below shows the parts with the basic painting of interior green, black and aluminum complete. 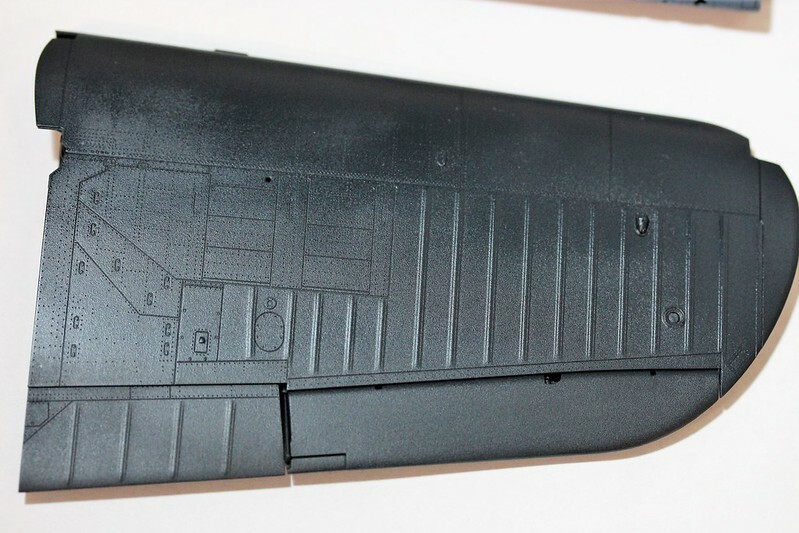 I airbrushed black primer first so that when I sprayed the interior green, from a top down angle it gives the parts a bit more "pop". It turned out well enough that I did not use a wash. 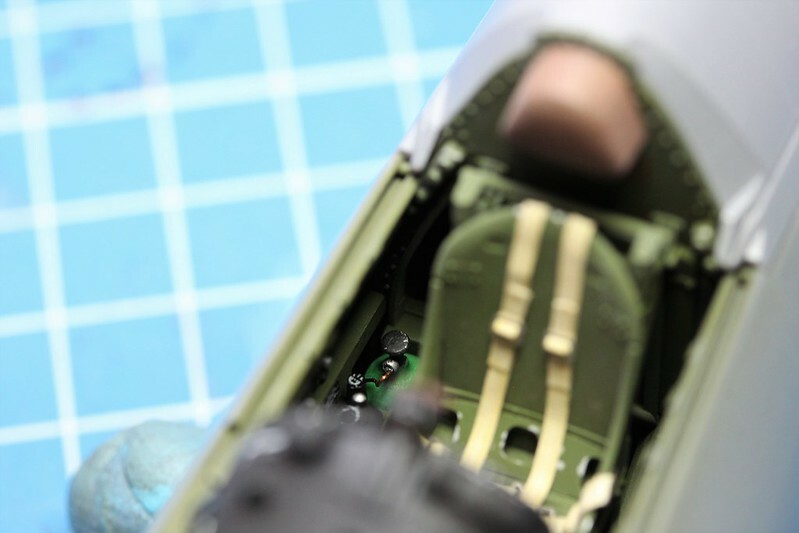 I tried to airbrush Vallejo Model Air Interior Green, but I just can't get that particular brand of paint to spray well. 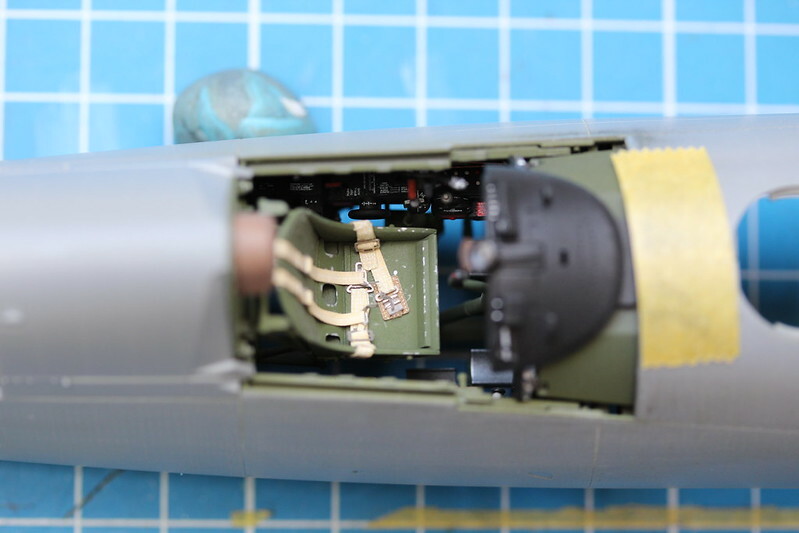 I ditched the attempt and mixed my own interior green using Tamiya's XF-4 (which is a good approximation of zinc chromate yellow) and XF-58 Olive Green. The results are below. 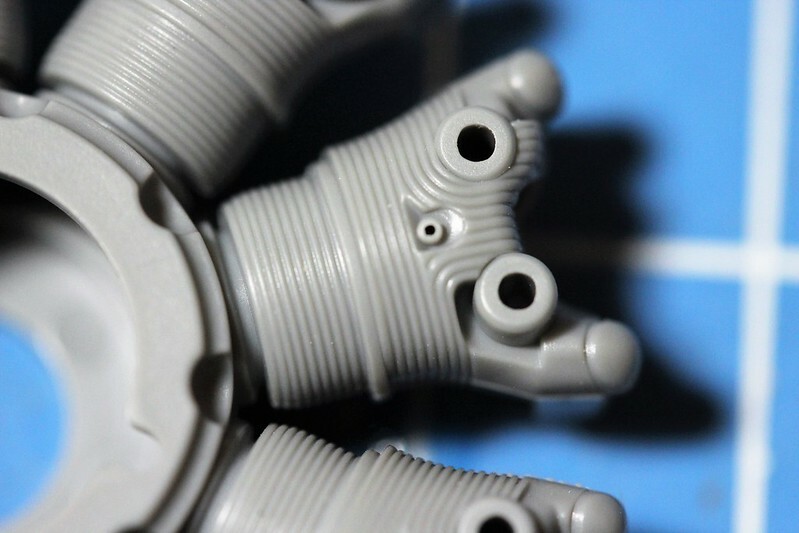 Close up of the IP. 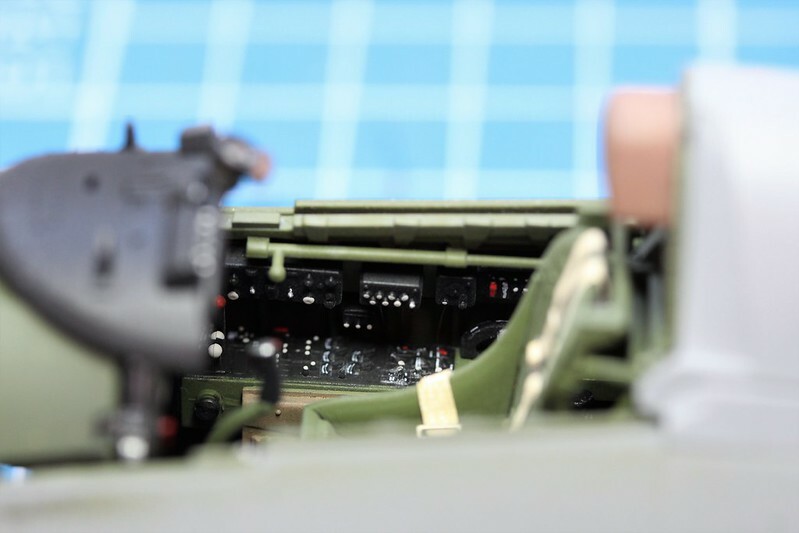 I did not have any US instrument decals so I used some Luftwaffe ones I had - wrong, but unless someone is going to look at the model with a macro lens it is not obvious. 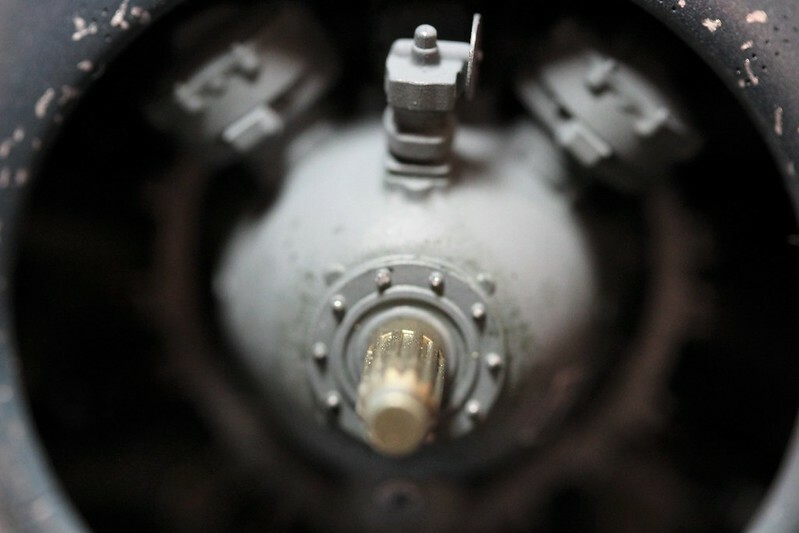 Small bit of super detailing on the O2 regulator. I added a protection bracket, the oxygen hose (made out of .020 rod) and the O2 line which will connect to the oxygen bottle. 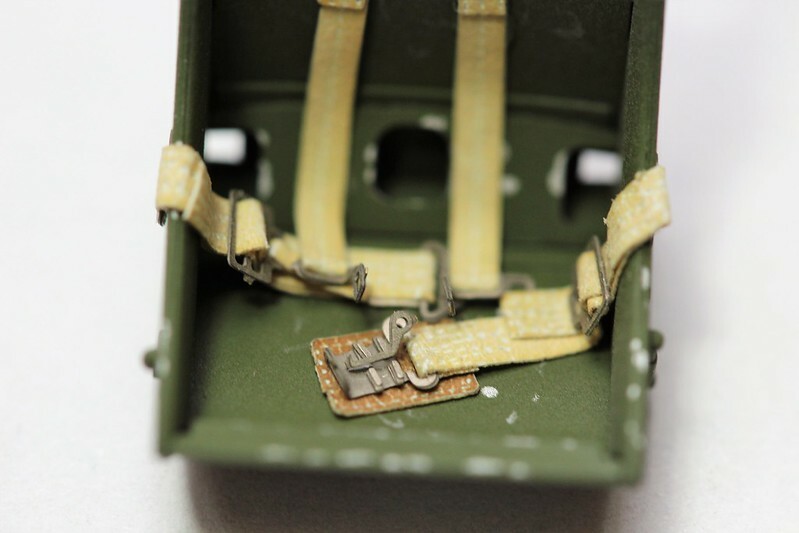 Close up of the seat with HGW's seatbelt. 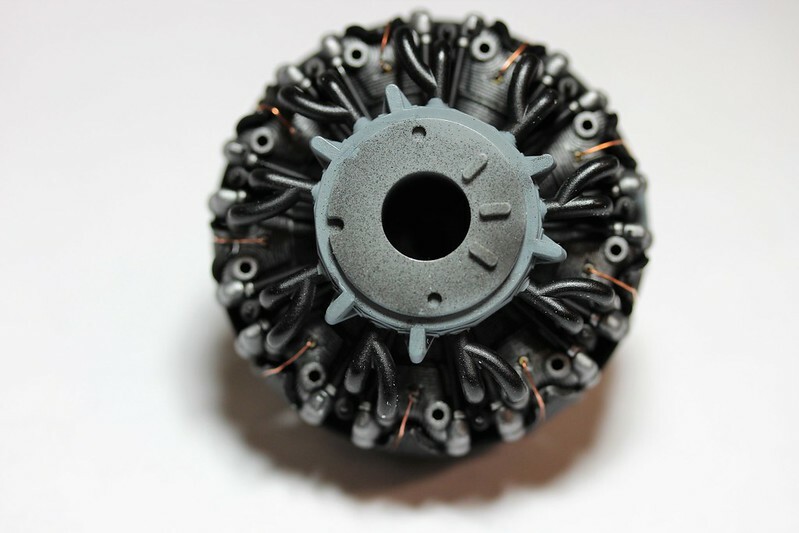 Finally, some copper wire masquerading as control rods - they will attach to the throttle control unit. 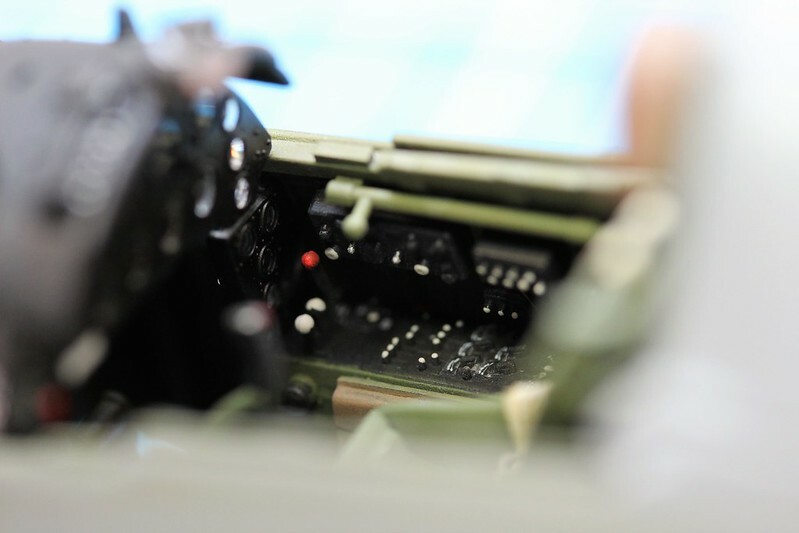 Some photos of the finished cockpit. It is hard to tell but I moderately weathered it. I also ran a bunch of electrical and hydraulic lines that you can not see in the completed cockpit. Left console 2 and the seat. Looking forward on your next up date . Thank you Terri. I tried out HGW Wet Transfers and found them to be a bit of a hit and miss for the small placards. 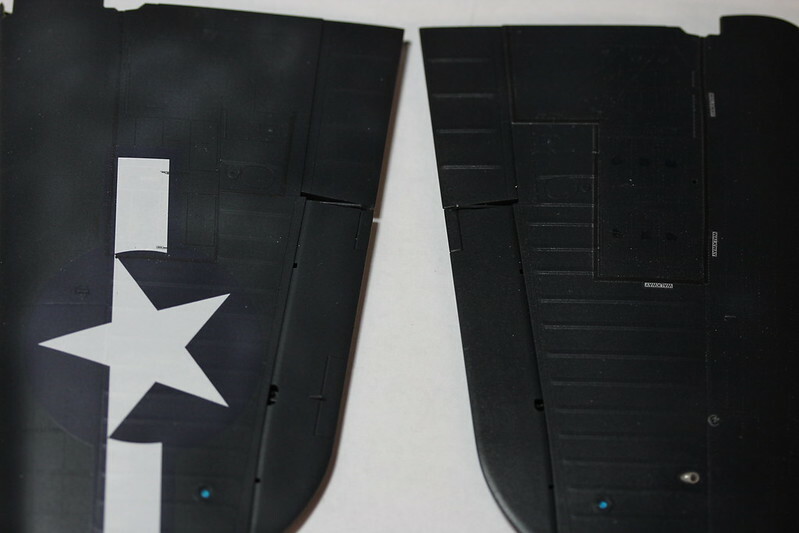 I could not get the covering foil to pull up with either damage or pulling the decal off, so I decided to just airbrush a flat coat over the work. Fortunately it turned out fine. 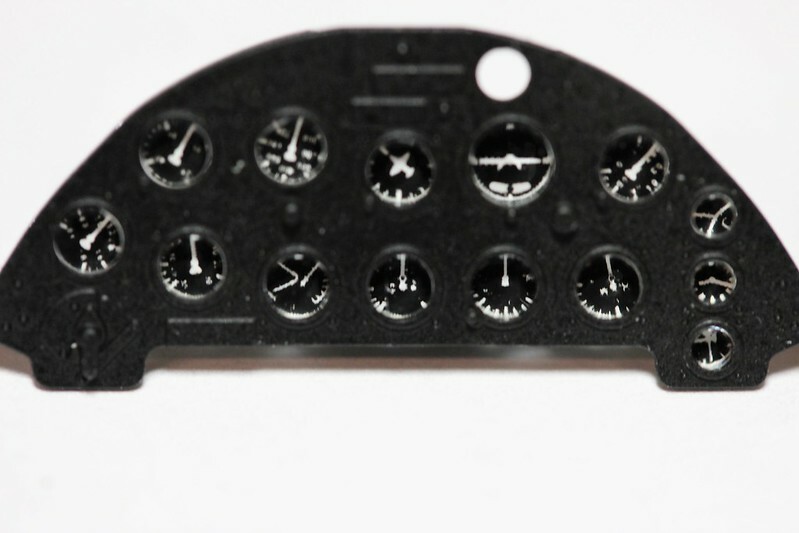 I am now a bit hesitant to use them for the aircraft stenciling and markings, but maybe the larger ones will work better - keeping my fingers crossed at least. Work has continued apace on the build. I have finished most of the center section of the wing. I decided to show the kit with folded wings. This means the painting will be a bit more involved and I'll have to carefully think through the stages to both maximize efficiency in painting and to ensure I paint in an order that allows me to get to everything. Below are some photos of the progress. 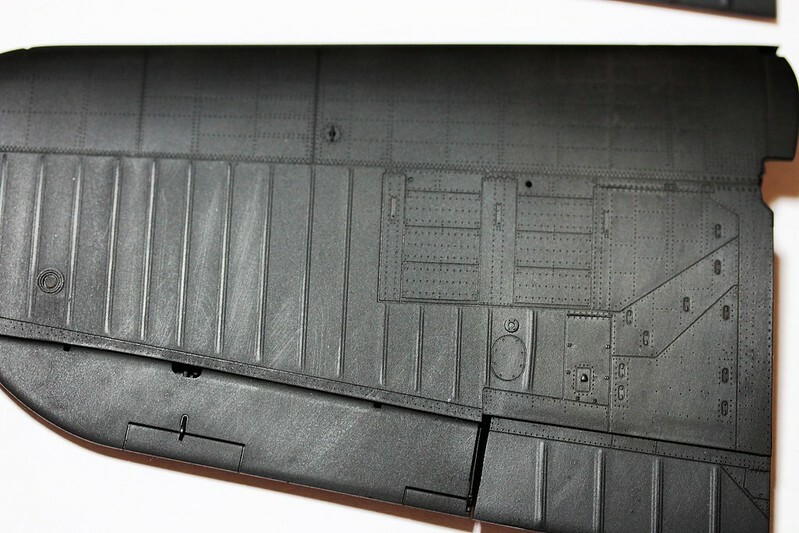 The bottom of the center wing section. Here you can see what I mean by having to think through the order of painting. 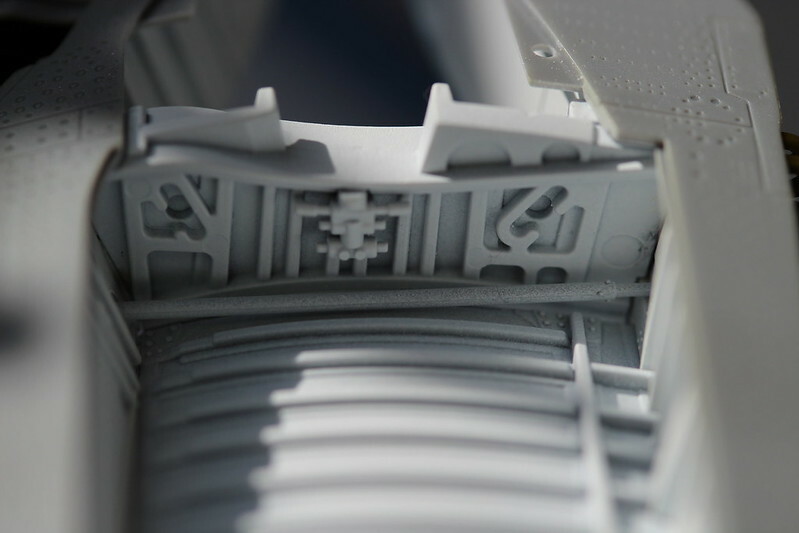 A close up of one of the wheel bays about 2/3 finished. I hemmed and hawed about whether to add the hydraulic lines and decided not to given that the model will probably never be picked up by anyone to look at the bottom. Front section of a completed wheel bay. There is still time to add some bits and bobs and I am trying to block out the AMS in me to do so! 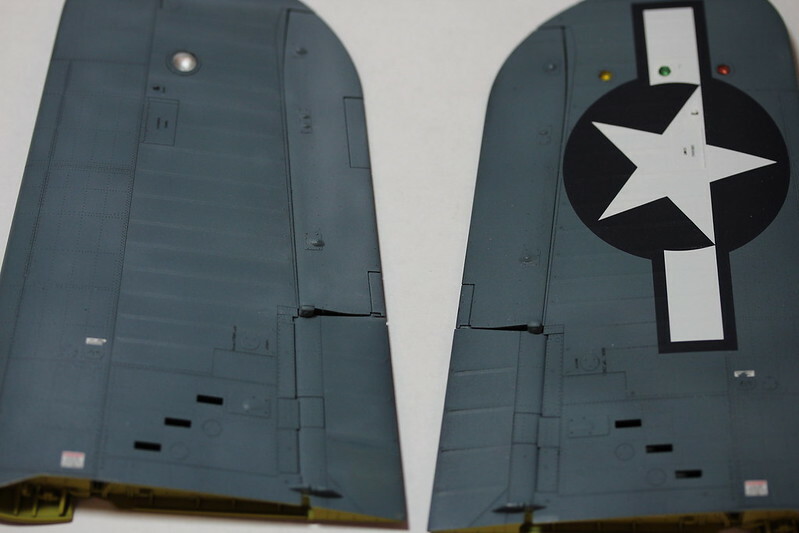 Overall shot of the starboard inner wing section showing the wing fold detail. 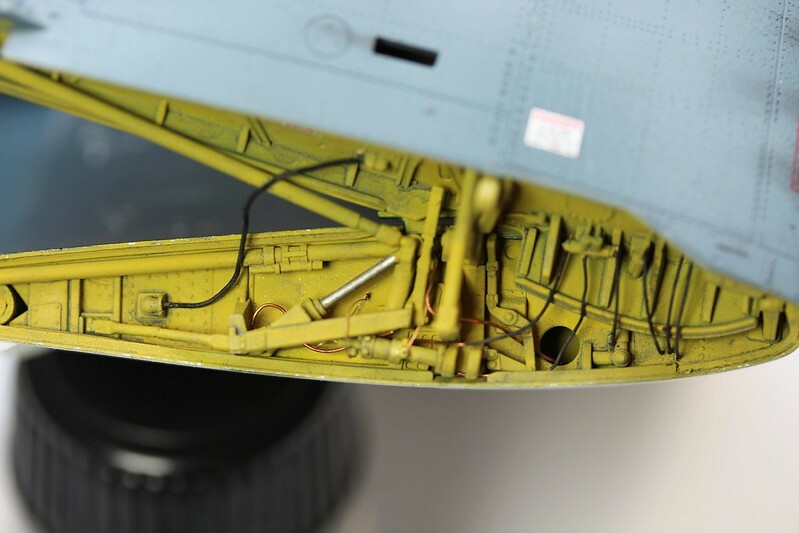 I will be adding hydraulic and electrical lines, that is what the holes are drilled to accept. 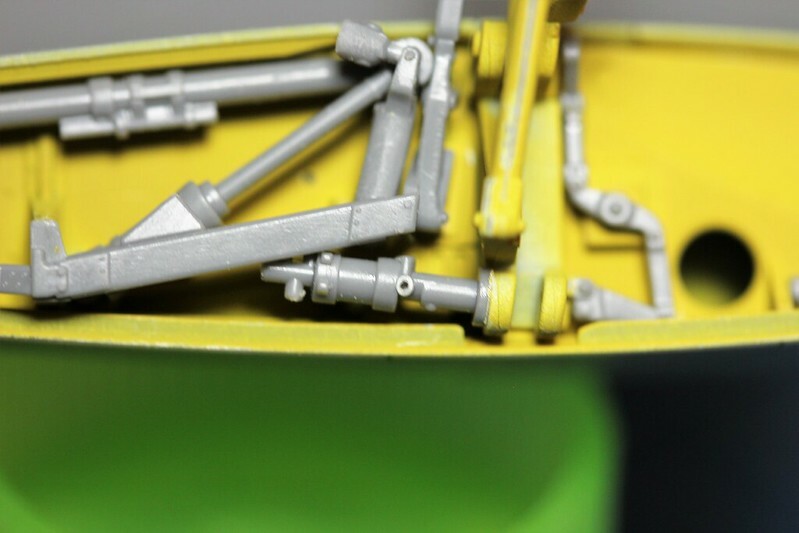 I should have waited until I had everything assembled to paint the zinc chromate yellow. Screw up on my part. 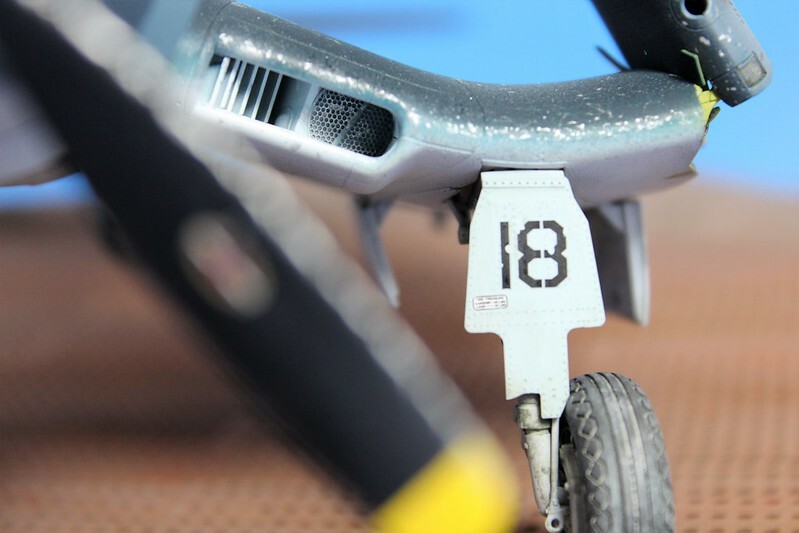 A closer look at the wing fold details. 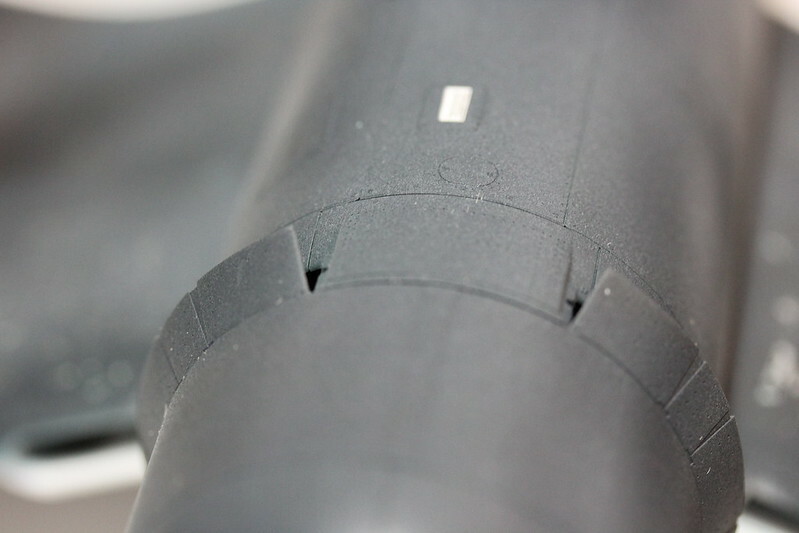 Finally, a close up shot of what is probably the hydraulic actuator (I'm not a corsair expert). You can see one of several holes I drilled in it to take different hydraulic lines. Nice progress Ernest . When I built my it was four months and most of that time was spent doing painting the parts . Assembly was fast and easy . Nice call on folding the wings , she will look good . Hi Terri, painting looks like it will be complex on this build. Assembly is very relaxing; and I am enjoying it a great deal. I plan to build the "birdcage" version in the not too distant future. 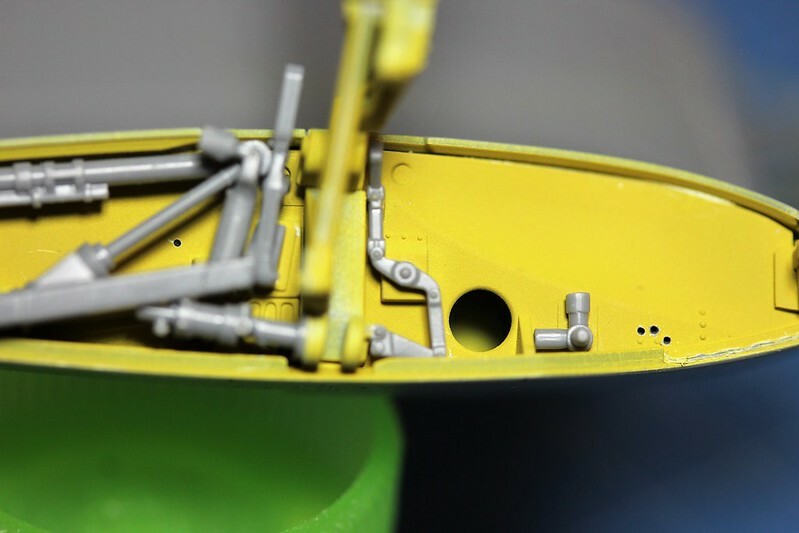 I'm going to work on the "plumbing" for the inner portion of the wing folds tonight. That should keep my brain engaged. My apologies for just finding your build blog sooner. 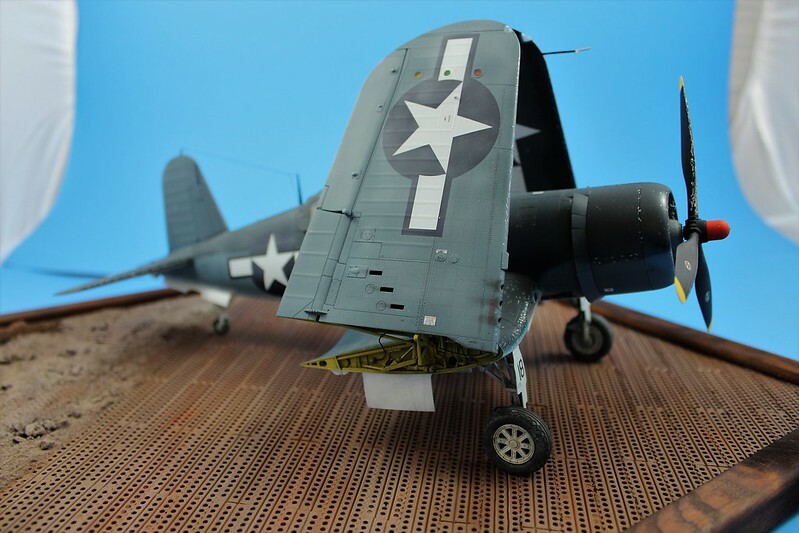 I'm a big time Corsair fan, and the fact that you're building the Tamiya 1/32 scale kit just makes the build that much better. Excellent job on the engine. 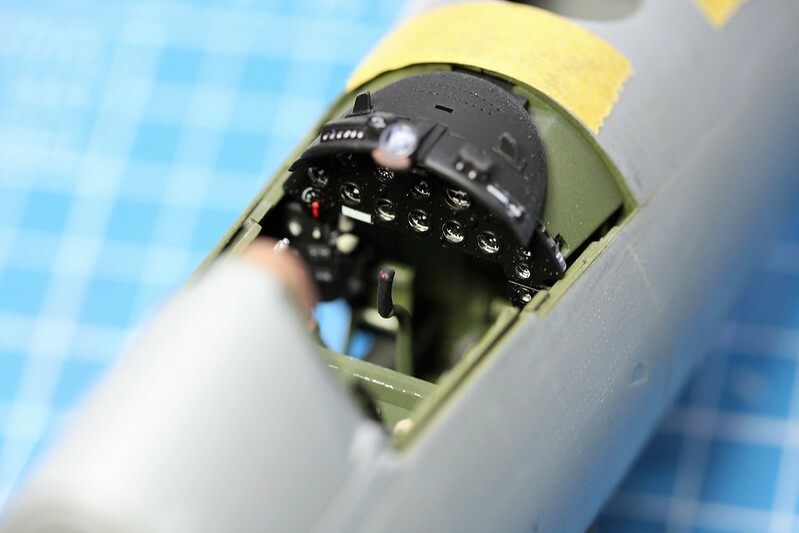 The Cockpit looks great as Tamiya stock pit is simply outstanding. 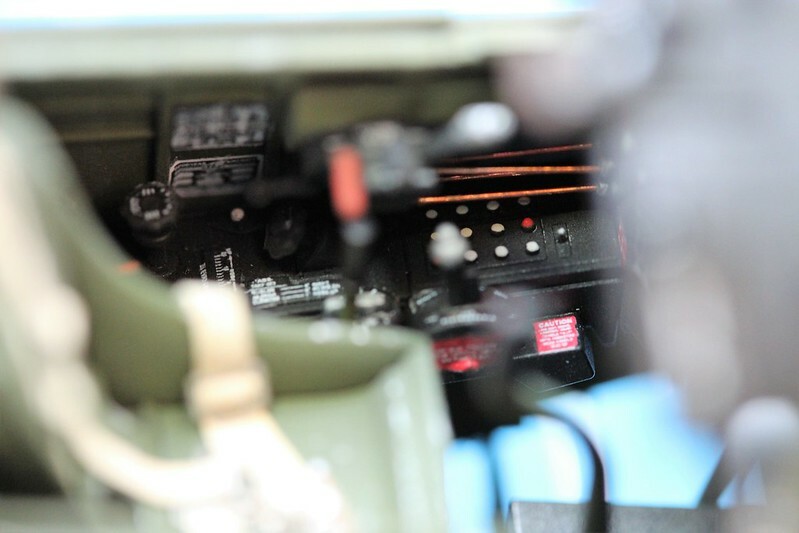 As for using those Luftwaffe instrument decals, your secret is safe with us. I did notice that many of your close ups with the Macro lens, your DOF is a little to shallow. I've also face those issues, and in preview what seems enough, usually isn't. So I'm making a concerted effort to stop down to max if possible for the greatest DOF. Hi Joel, glad to have you along for the ride. I can always use your advice and feedback on both building techniques and taking macro photos. The DOF issue you noted is due to pure laziness on my part. I shoot a lot of photos with a Canon EOS Rebel T6 with their EFS 60mm Macro lens, which is a very good lens. 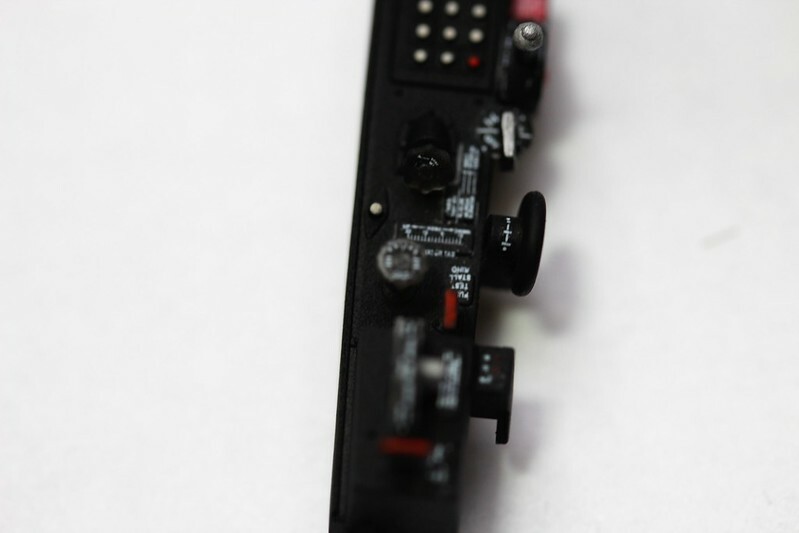 As you know, to get the best out of a macro lens one should shot in manual mode stopped down to the smallest aperture with long exposure times under good lighting. 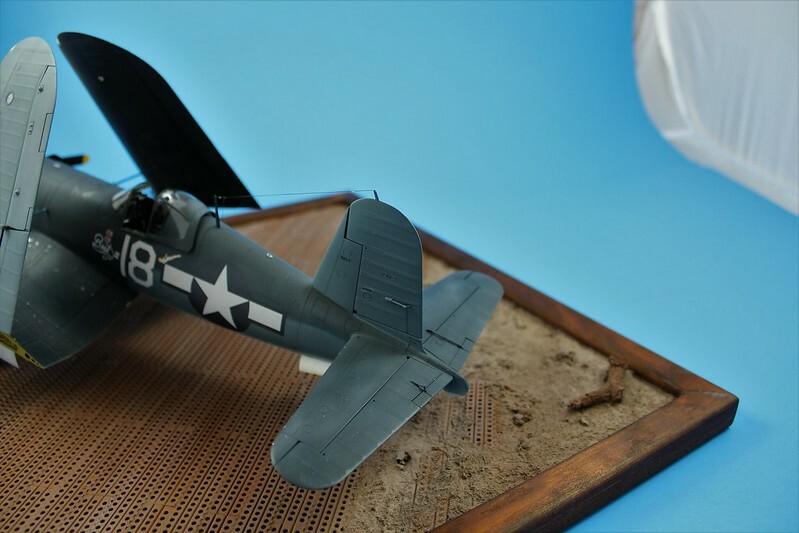 When I photograph my finished models I setup all my photo bling and do it right; but that takes a while (Again, I'll bet you already know all this!) For projects under construction I am just too lazy to do all that prep and engage "macro mode" on the camera, put down a neutral background, try to get some good lighting on the subject and shoot away. 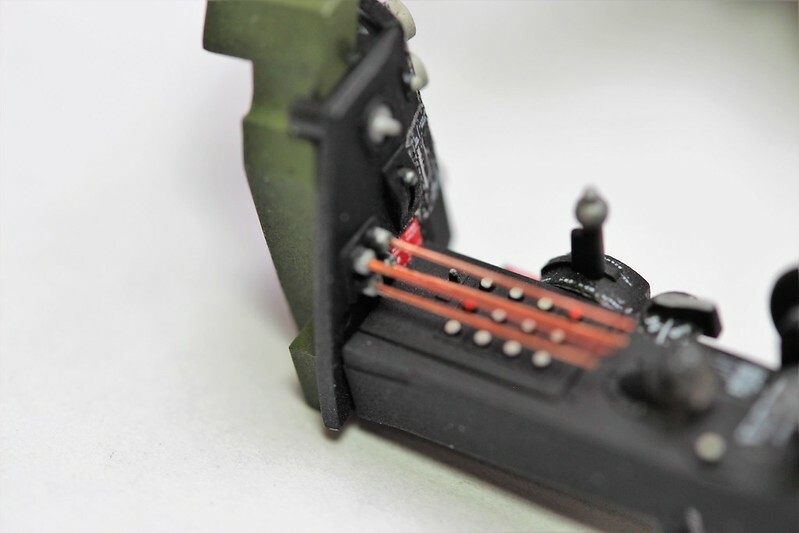 As you astutely noted, that does not lead to perfect macro shots, but I think it hits the sweet spot of showing what I am doing - or in many cases trying to do - while maximizing the time I can spend working on the build. Lazy I know! No one is lazier then me when it comes to grab pictures. I keep my Nikon D7100 with the 100mm Macro on the ready. For lighting it's usually my two work lamps, and the popup flash set to EV-.7 just for fill light as getting my dedicated flash out and ready is always to much of a bother. And half the time I'm hand holding rather then grabbing my tripod which is maybe 10 ft from me. Sounds just like me Joel. I hand hold nearly all the shots I take of a build in progress. Its been awhile since my last post, but I have made a lot of progress on the build. I was just too lazy to upload the "in progress shots I took. Following are some photos of where I am with this build, which is nearly finished. 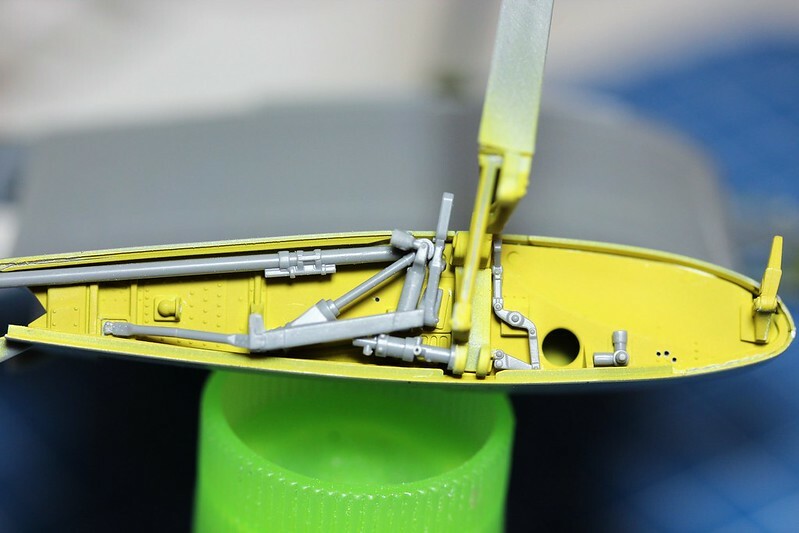 These are a series of photos showing the basic priming and painting of the wings and fuselage. 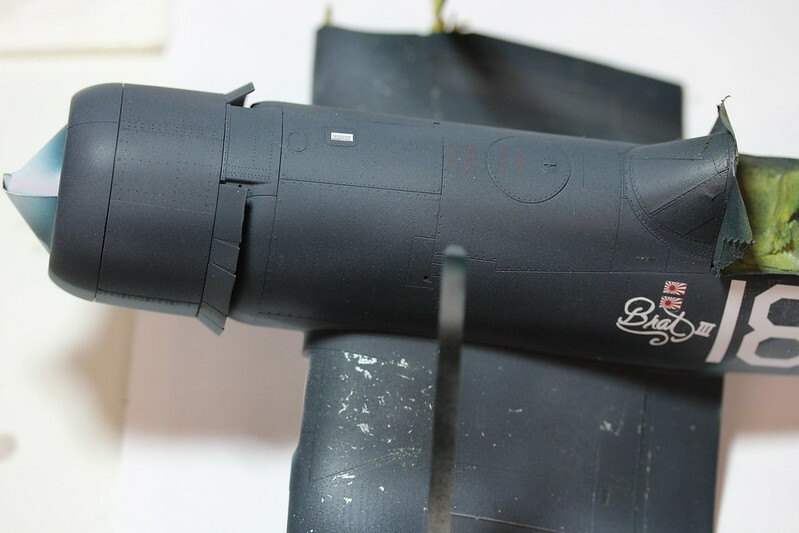 I am going to weather this aircraft a good deal more than I normally do and the pictures show some of the prep such as a dark base (hard to see) to help give the subsequent fading some pop, silver on top of that as a prep for some hair spray chipping, and finally the coat of base colors. Most of the photos were taken right after spraying before I buffed the surfaces smooth so they look a bit grainy in the photos. 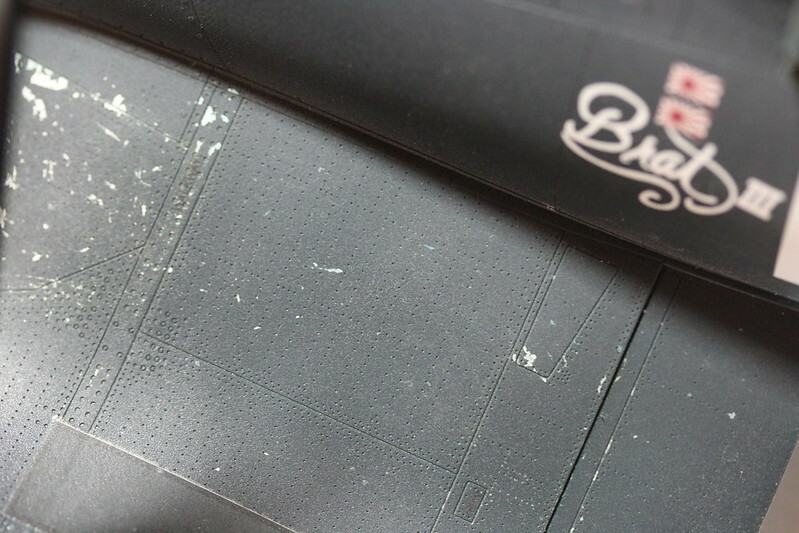 I used the hairspray method for the initial chipping; this will be supplemented by some silver pen chipping later on. This next series has some shots showing the progress after initial and follow up fading. The black base gives more depth to the subject once fading is added. I did not get thing perfect here, but it looks display worthy. It was a long and involved journey with the weathering on this build. And the upper wings, the fading does not show up well under the harsh lighting. 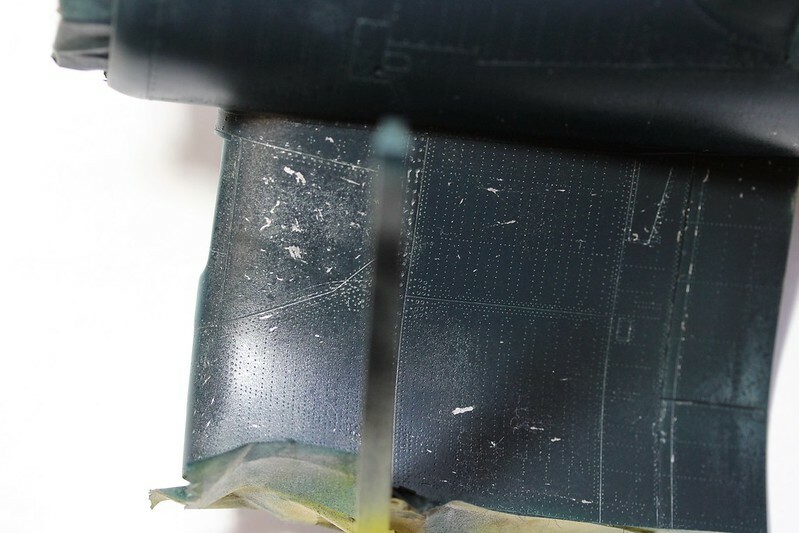 Front portion of the fuselage after fading. The transition down the sides is always challenging for me to bring off. It is not perfect, but again display worthy. 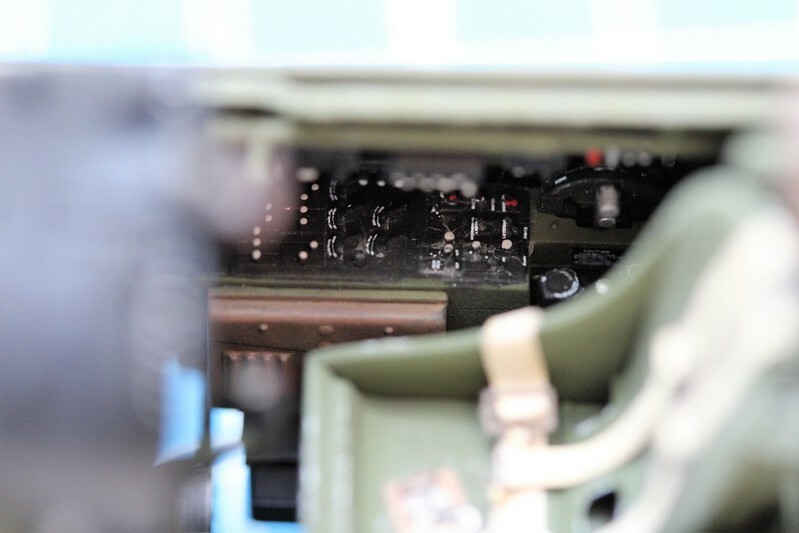 The bottom of the aircraft. The black base effect always shows up better on light top colors. I have also just started doing some weathering. 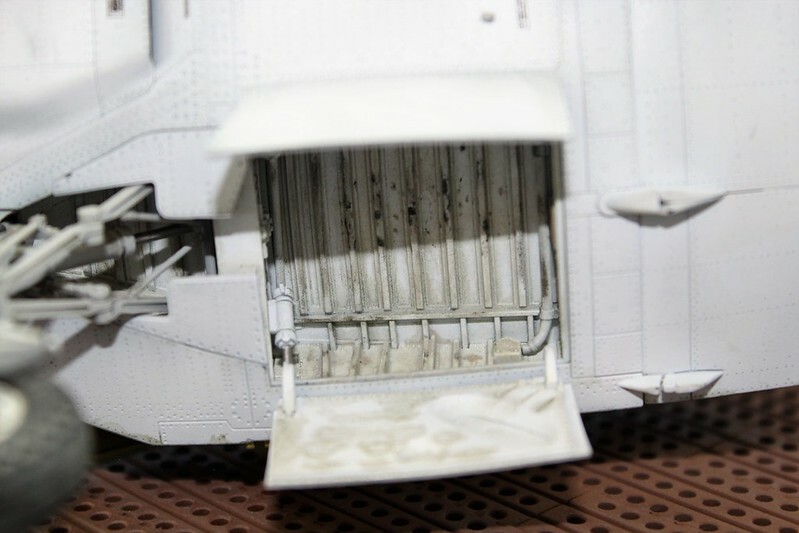 Close up of one of the undercarriage bays with weathering underway. 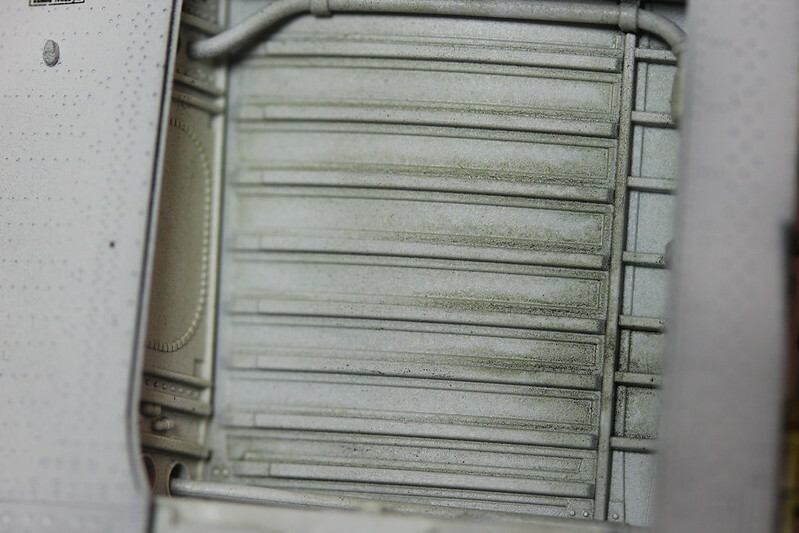 Next up a some shots of the very nearly completed weathering. After additional silver pen chipping and fading. Another close up of the completed topside fading. 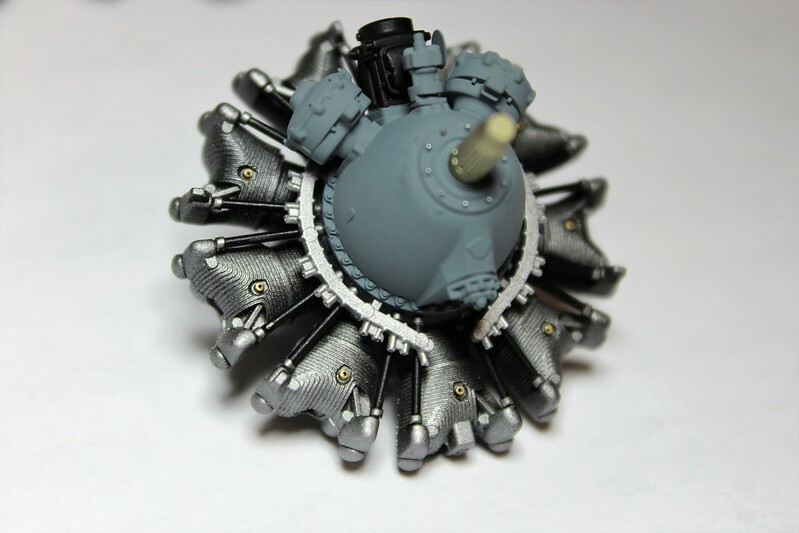 Weathering finished on the engine. 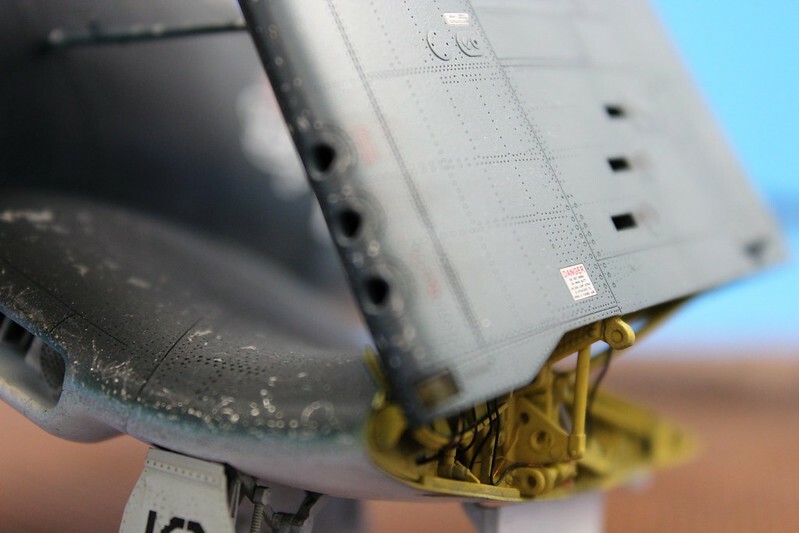 Close up of some of the chipping on the leading edge of the wing. I also attempted to fade the upper color into the lower one. The chipping is a combination of the hairspray technique and a silver pen. 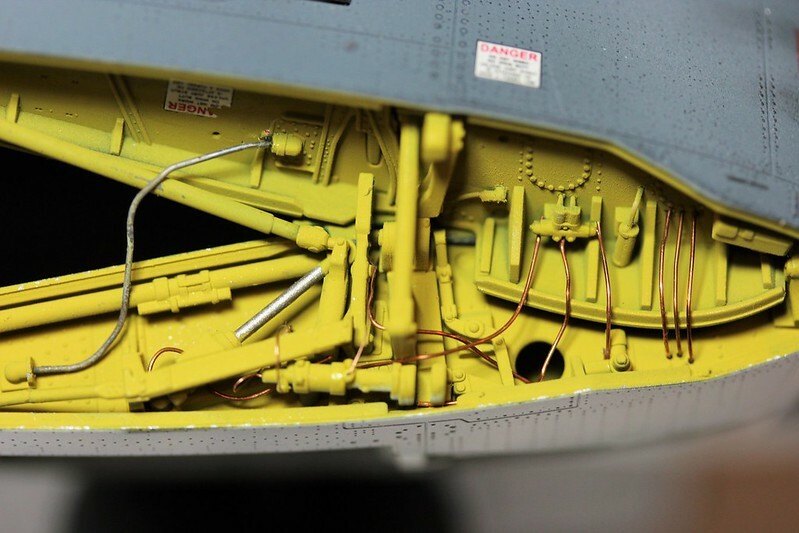 Some scratchbuilt electric and hydraulic lines. 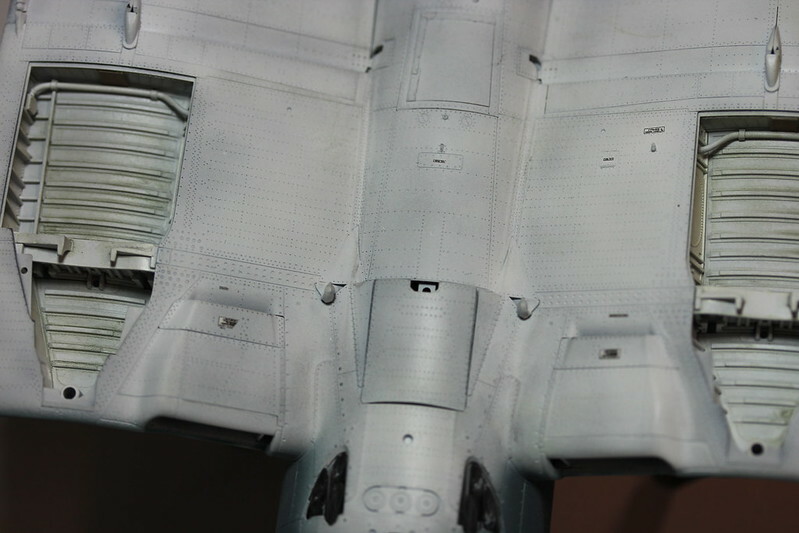 Painting and weathering complete on the wing fold area. 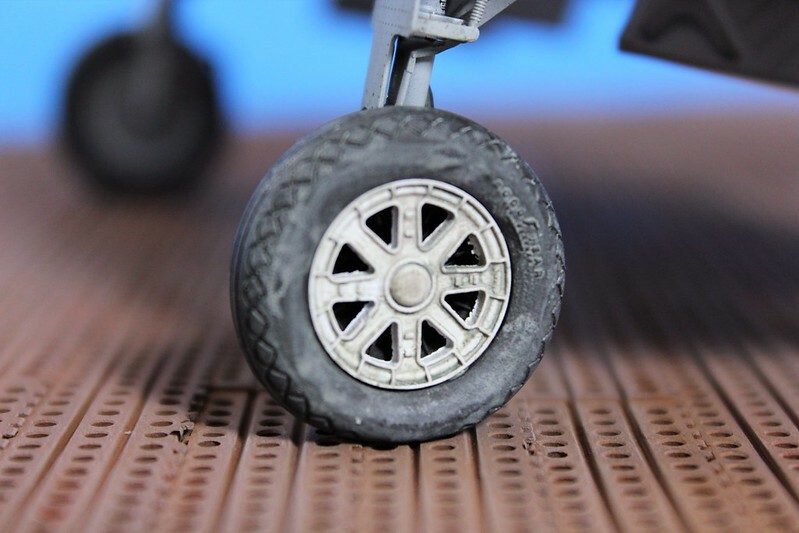 One of the wheel wells after weathering is complete. Absolutely great progress especially for a 1/32 scale build. Black basing really adds that extra depth to the base color coats. 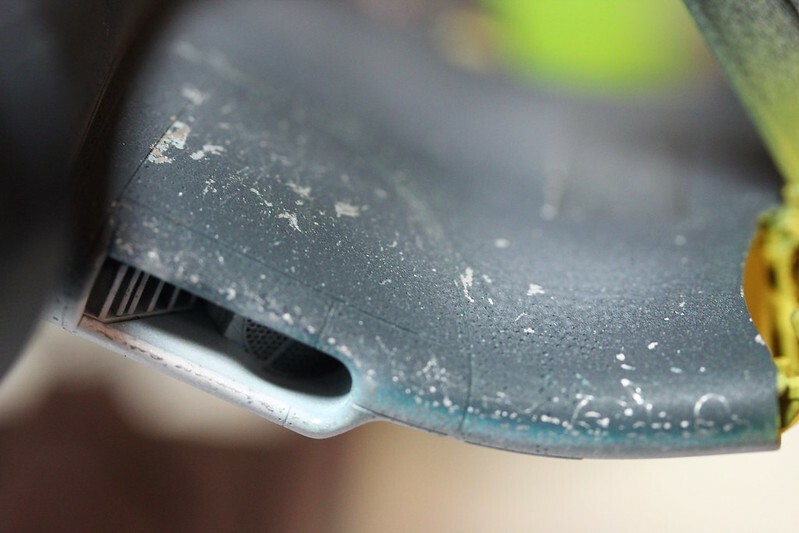 I've always shied away from paint chipping for some reason. 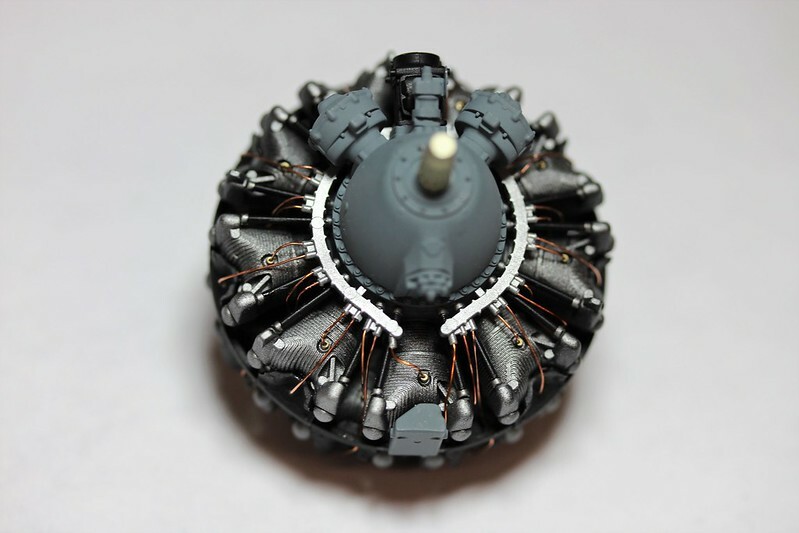 Yours really not only looks good, but is giving me the confidence to try it out on my next prop build. I'm really impressed with the detailing in the wing folds. Adds a lot to the build's presentation. Thank you for the very kind comments Joel and everyone else. 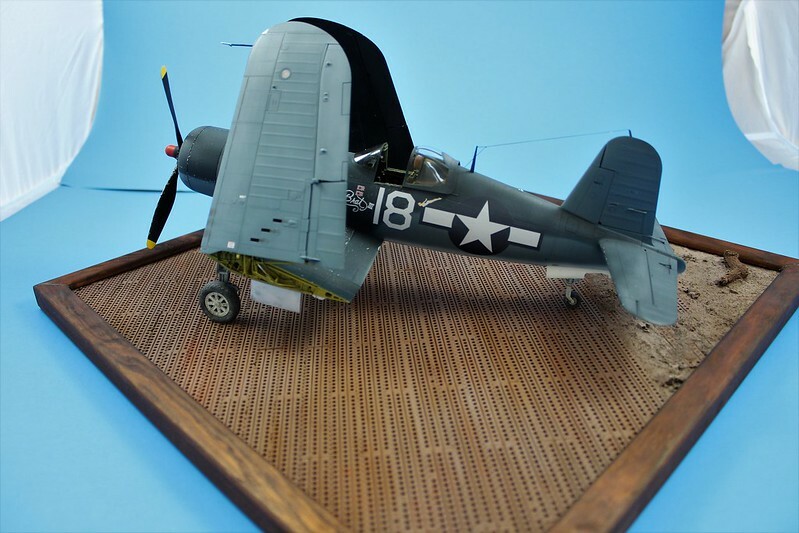 I have completed the Corsair and base. Below are some photos of the finished model. I am guessing that it is also appropriate to post some photos in the finished model section also. The photos were taken using my photo tent setup. The subtle shading shows up a bit better under diffused lighting. I made a very simple frame for the base, which turned out fairly well. I'll start with a few medium distance shots. And some close ups to finish. 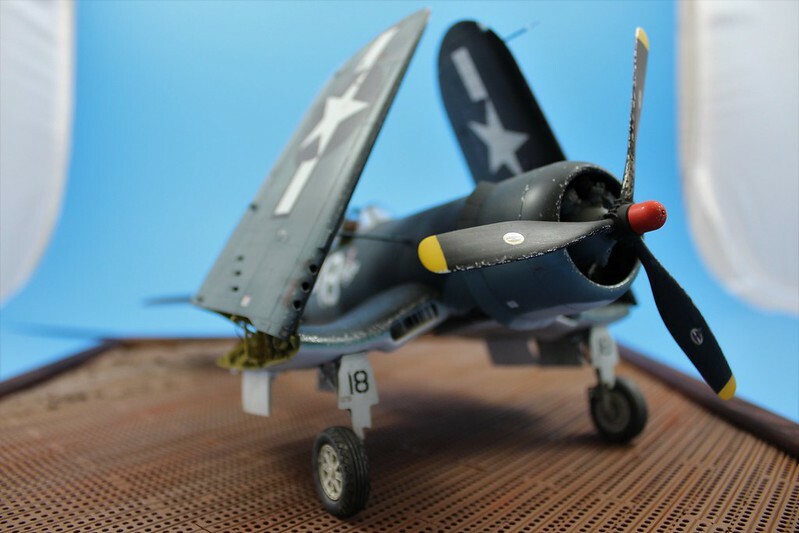 A very well done 1/32 scale Corsair F4U-1A. Rock solid build and camo paint scheme. Weathering really kicks it up a few notches as it's most realistic, and not overly done by any means. Same for the base. Simple, yet does the job quite nicely.